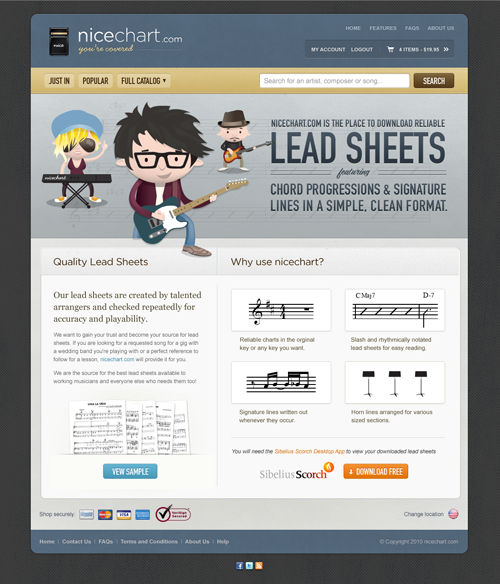 Nicechart is the source for the best lead sheets available to working musicians and everyone else who needs them. 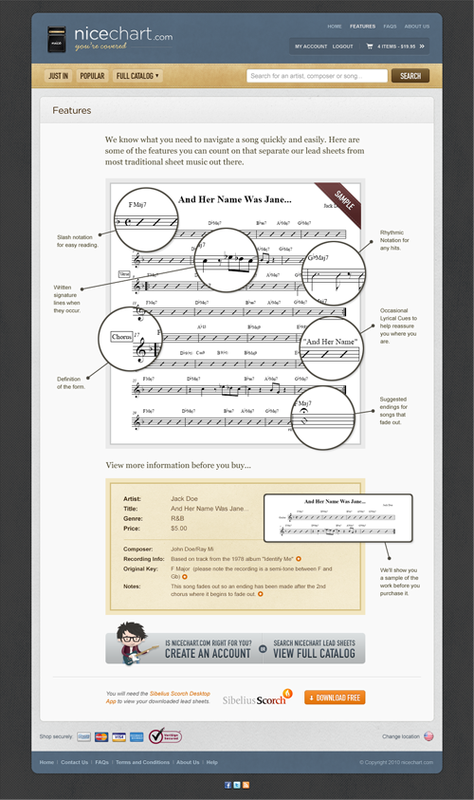 They sell sheet music that is designed to be concise, easy to navigate, and attentive to details. They found us after searching for a team that embraced these ideals. Keen to use our illustration skills we created a hip, new identity and developed a character based illustration set to give their website a rich, friendly and musically luxurious feel. 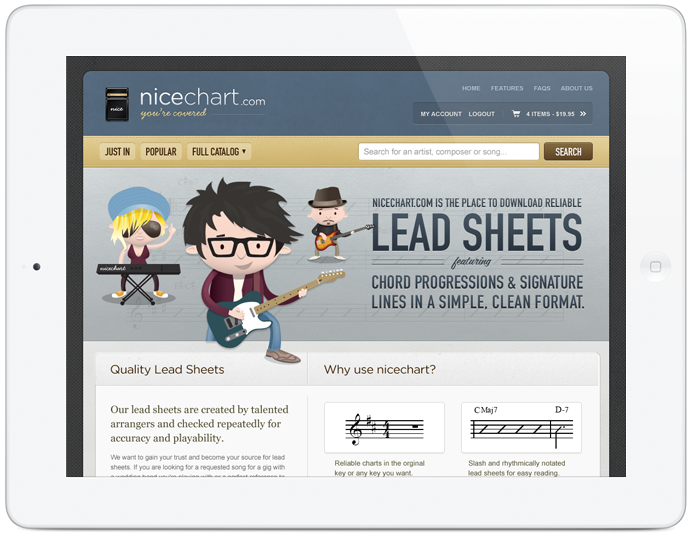 We tapped into Nicechart’s considerable musical teaching knowledge to ensure the UX and UI design consistently met their and their users goal of information being concise and easy to follow. We built their front-end templates for integration by their development team. They’re an enthusiastic team and passionate about what they do. They really appreciate our approach to design so it’s a pleasure to be working with them. Matt and Pete provide a special combination of talent, creativity and focus on user experience that is so hard to find.